Located prominently along the new streetcar line on Main Street, the renovated building features nine-stories of office space and a one-story of ground level retail space. Built in 1921, the Thomas Corrigan Building is the tallest office tower in Kansas City’s Crossroads Arts District. In order to qualify for state and national historic tax credits, Helix worked closely with co-developers Copaken Brooks and 3D Development to develop a design that preserves the historic character of the building in accordance with National Park Service preservation guidelines. Helix is also the architect-of-record on the 40,000-square-foot Corrigan Station tenant improvement for WeWork, the largest co-working organization in the world. 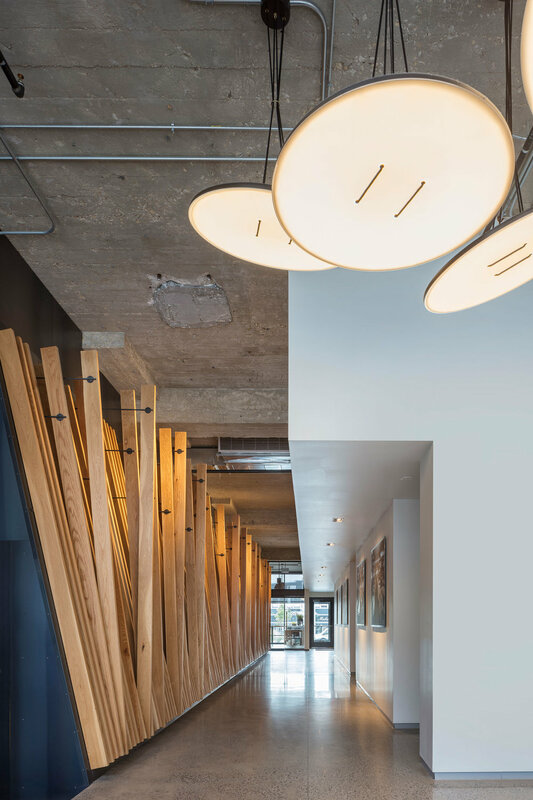 Helix partnered with WeWork’s in-house team of architects and designers to execute the third through sixth floors of Corrigan Station. The location accommodates WeWork members with shared office space, which includes conference rooms, private offices and open workstations. In addition to renovating the existing 123,000-sq,-ft. structure, Helix is designing an adjacent three-story structure at the corner of 19th and Main Street that provides additional retail space and covered parking on the first floor and office space on the second and third floors. An event space will be added on the rooftop to serve building tenants and host special events.